Wooden toys have been popular in the U.S. for generations, so I was interested to see that wood toys are also popular in other parts of the world also. On a recent trip to Dublin, Ireland, I saw toys made of wood in the shop windows of children’s stores. 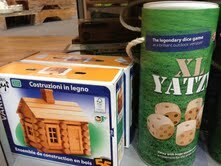 The German firm, Haba Toys, is recognized throughout the world for their handcrafted wooden toys. And, in Helsinki, Finland, I took these photos of children's toys at Stockman's Department Store. Durability – Generation after generation of children can play with wood toys as they stand the test of time and rigorous play. Safety – Plastic toys have been found to include toxic chemicals such as Polyvinyl Chloride (PVC), Phthalates, or Bisphenol A (BPA). These toys can also break into small pieces that can be potentially harmful. Children's toys made of thick wood may be less likely to break into small pieces - but watch for toys with thin pieces of wood. In addition, some plastic kid's toys have sharper edges. Motor Skill Development – Most wooden toys, including wood puzzles, require the use of fine motor skills. Thus, playing with these toys can enhance dexterity and eye-hand coordination. Educational Benefits – Building blocks and other wood toys can help children develop spatial concepts as well as concepts such as size, shape and color. Academic skills, problem-solving and puzzle skills may also be practiced through play. Creative Toys and Imagination – Wood blocks are often excellent choices for stimulating creativity and imagination as they are open-ended and unstructured, allowing children freedom to experiment and explore. While these are all reasons for the global appeal of wooden toys, the biggest is likely that they are fun for children and kids develop fond memories playing with them. Then, as adults, these happy childhood memories return as they choose birthday presents or holiday gifts for their children or watch grandchildren play with wood toys that have been in the family for generations. 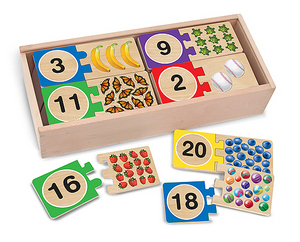 To view wooden toys available on our website, visit http://www.jumpstarttoys.com/wood-toys-and-puzzles-s/1847.htm. 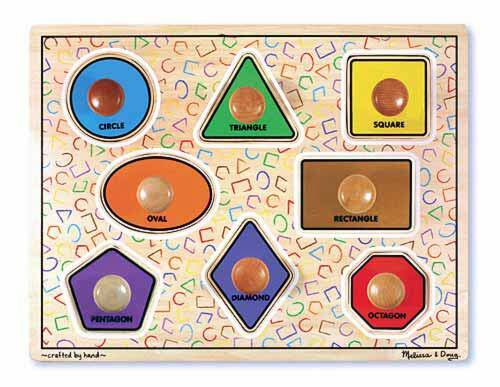 Wood puzzles can be found at http://www.jumpstarttoys.com/Kids-Puzzles-s/1842.htm.